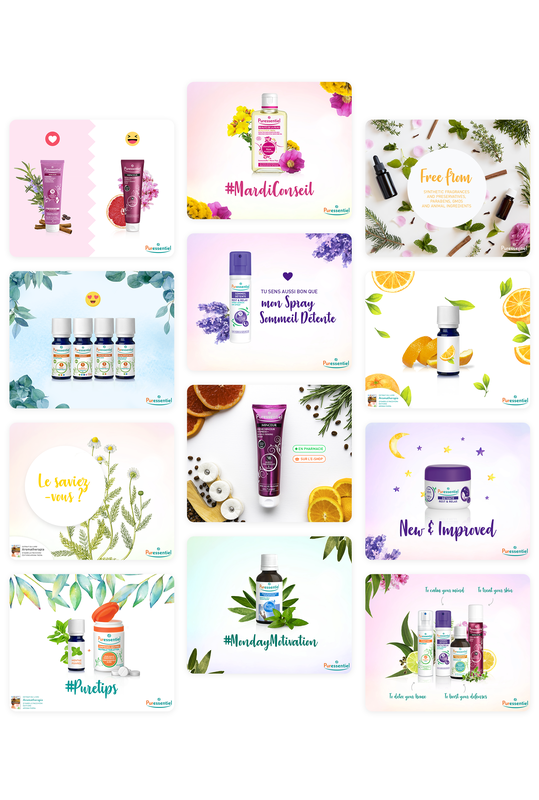 International social media visuals created for the brand Puressentiel, the leader of essentail oils. Creations realized within Typy agency. visuals created for the brand Puressentiel, the leader of essentail oils. Creations realized within Typy agency.